Tamsen promotes emotional wellness through education, with an emphasis on community. She is an Emotional Educator, Truth Questioner, and Community Creator. Her two main specialties are supporting women who are grieving fertility challenges and miscarriages, and confidence training for creative professionals. Tamsen has a Ph.D. in cognitive psychology, is certified in the Grief Recovery Method ® by the Grief Recovery Institute ®, and is a certified project manager (PMP). 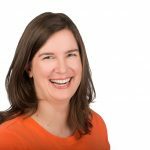 Tamsen launched the Momtellectual podcast in July 2017 to keep her community informed and connected, and has been running the Guelph Moms Supporting Moms Facebook group since September 2015. She is primarily motivated to help mothers so that they can help their own children, and runs group classes to help mothers heal their own pain and to teach their own children to deal with loss in a healthy way. Parent Resource Portal :: Is Vacation a Vacation?